Platja de Muro – Sector II is situated at six kilometres from the centre of Alcúdia and 12 kilometres from Muro. It begins at the channel of s′Oberta, next to Pont dels Anglesos (“Bridge of the English”), until a beach called Platja de Muro – es Comú, with which it has an imaginary border. 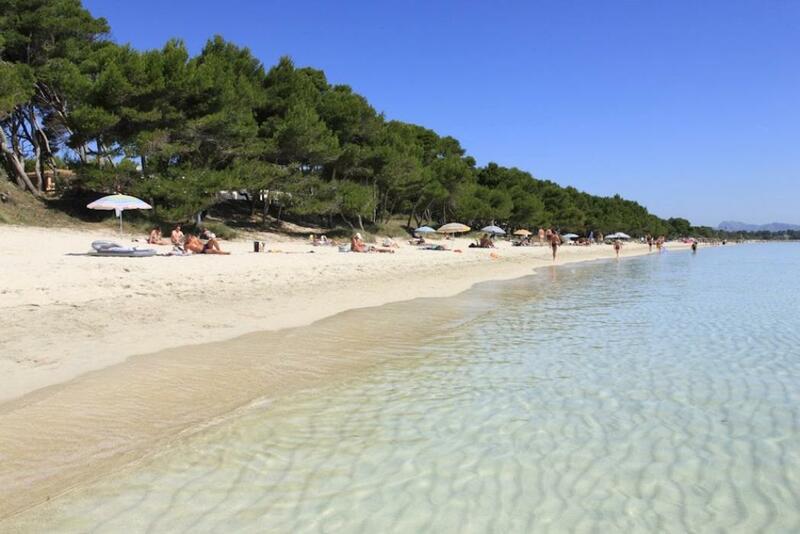 On this beach, together with Platja de Muro – Sector I, you will find quality hotels and tourism, mostly families. It is located next to the wetland of the Parc (“reserve”) Natural de s′Albufera, with an extension of 1708 hectares, which is the biggest wetland of the archipelago. In 1988 it was declared natural reserve by the Parlament de les Illes Balears because of the ecological richness and the vast biodiversity. Since 1986 it belongs to the Zonas de Especial Protección para las Aves of the European Community, and since 1989 to the Convención sobre Humedales de Importancia Internacional. It can be visited, the entrance is free. Es Braç is a very long sandy area, very quiet and fine-grained, which until the eighties of the 20th century was a prolongation of the pine wood of es Comú, when the residential and touristic activity began, with the presence of huge buildings behind the system of dunes. The accessibility by car is easy on foot or with the private car, there are parking areas in the surroundings. You can also take the public transport. The nearest bus stop is located at about a hundred metres from this sandy area. like the rest of the beaches in this municipality, the water is transparent, the swell is moderate or quiet and the fine-grained golden sand is ideal for all types of visitors.